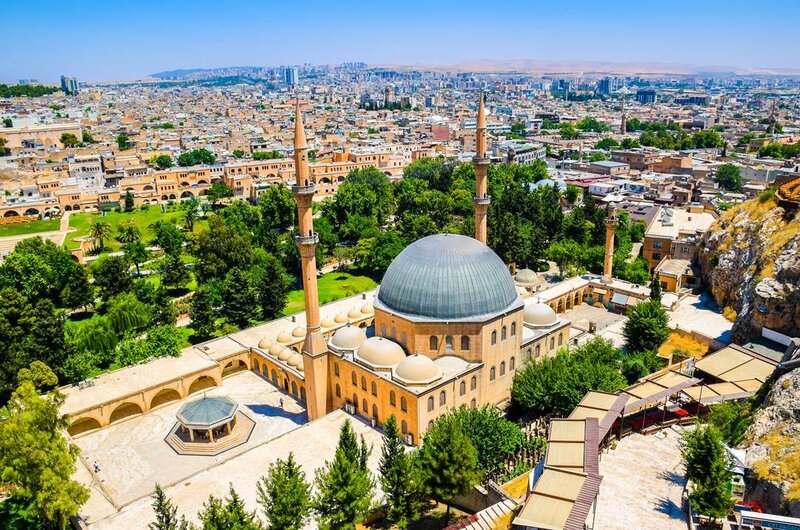 Custom Private Tours in Sanliurfa host to the Prophets City Pilgrimage and visit the site where it is said the Prophet Abraham was born. The city guided tours are full of history, culture and magnificent ruins like the great Göbeklitepe and Harran. Even though Sanliurfa (Urfa) is known as a pilgrimage town, there are lovely sites to visit like the fish ponds and the Grand Bazaar. Watch as the cloaked local women hustle through the bazaar while the men in traditional Arabic clothing are playing O.K. (backgammon) and swilling sweet tea. 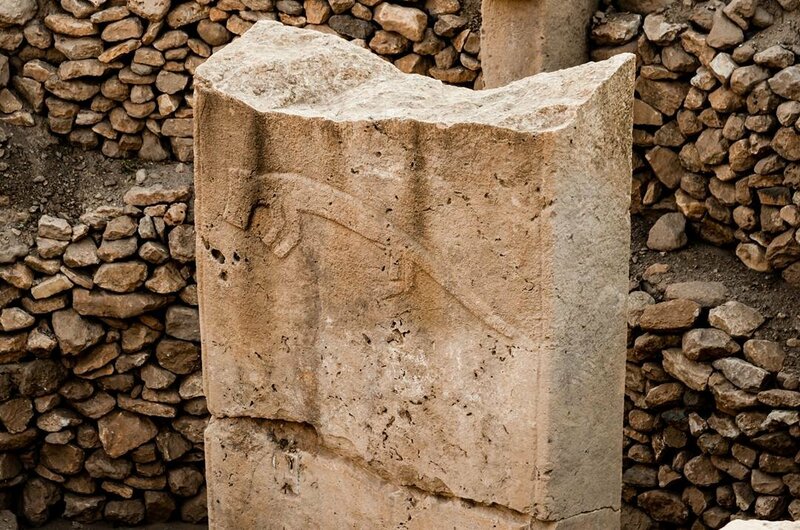 Göbekli Tepe excavations began in the 1990's when archaeologists found what they believe to be one of the oldest recorded religious temples in Turkey and the world. Go on Guided tours of the site, and you will see that the archaeologists are still working there. See some of the finds like totem style pillars and Neolithic pillars dated back to 10,000BC. 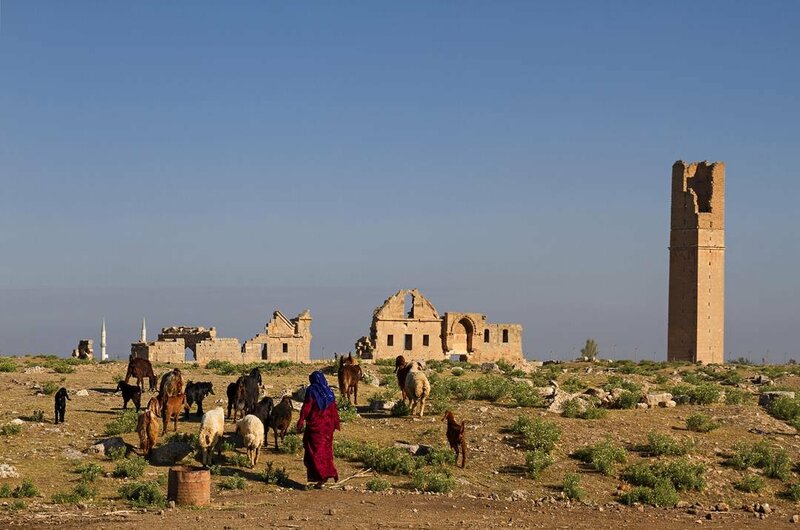 Then head over to the ancient Harran ruins famous for its mud-brick beehive houses it is also home to two important ruins the Ulu Camii ruins and the Kale Castle ruins, the old city walls are also visible here. 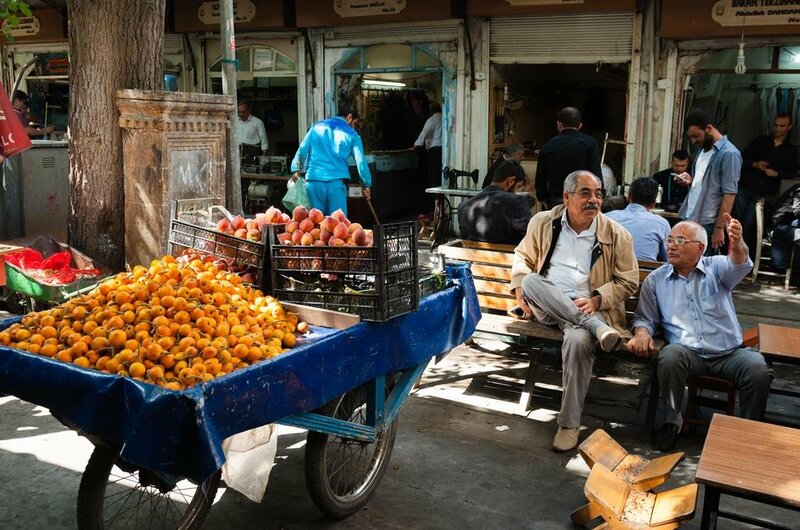 1 The old bazaar of Şanlıurfa city is one of the most genuine markets in Turkey. The alleyways and stalls are packed with everything from clothing to antiques, street food, and spices. The atmosphere is electric here will the vendors trying to trade, and tourists who seek to get a bargain. There is a central courtyard with great local tea shops so pop in. 2 Surrounded by two Mosques and the Medrese complex is the beautiful Sacred Fish Ponds (Balıklıgöl). 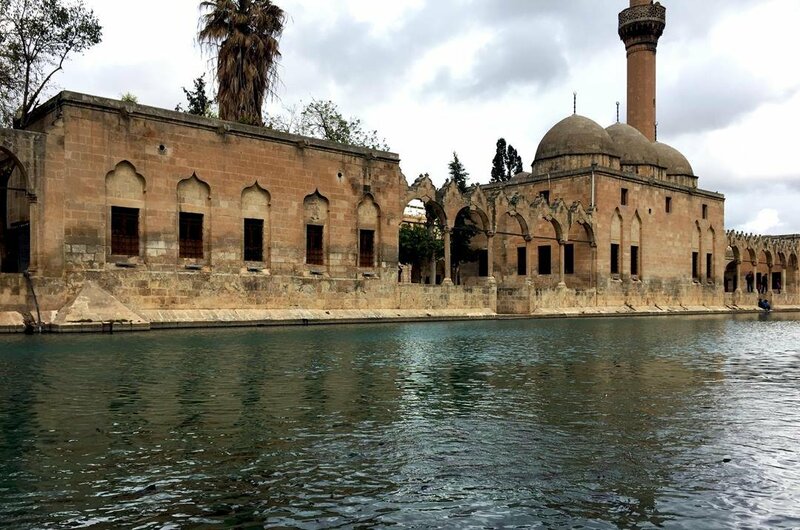 City tour guides have marked the ponds as a highlight of all the Sanliurfa tours. Filled with hundreds of carp which locals say are sacred, everybody visiting there are asked to feed the fish but be warned if you kill one it is said you will go blind! 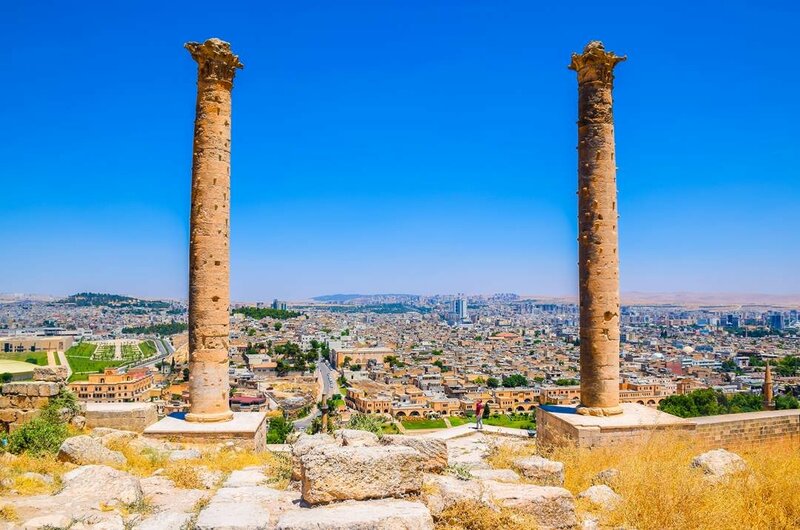 3 The ruins of the ancient fortress of Şanlıurfa Castle which is overlooking the city center can be reached when you go on a guided private tour. As you head up to the Castle, you will pass by two fortifications, the external wall with its three gates and ruins of around 25 fortified towers. Tour guides will go through the historical aspect of the Castle; it's a lovely tour and well worth doing. 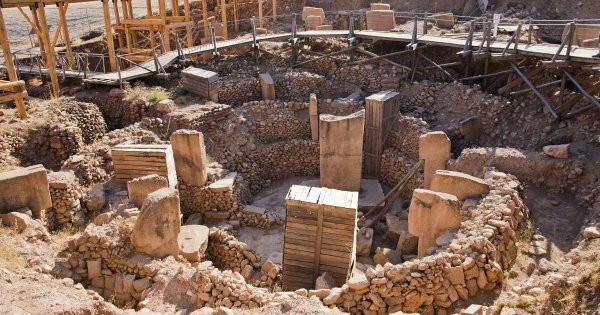 4 Excavations began in Göbekli Tepe in the 1990's when archaeologists found what they believe to be one of the oldest recorded religious temples. Even though less than 10% of the site has been excavated what they are finding include totem style pillars and Neolithic pillars dated back to 10,000BC and many artifacts from that era. Guided tours of Göbekli Tepe site need to be booked well in advance. 5 The ancient Harran ruins were once a thriving town in the 3rd millennium BC. Famous for its mud-brick beehive houses it is also home to two important ruins the Ulu Camii ruins and the Kale Castle ruins. The old city walls are also visible here, and your private tour guide will fill you in on why the wall was four kilometres long and built entirely around the city. 6 Turkish Halfeti Roses are very rare, shaped just like a natural rose, but what sets them apart is that they are black in color. Halfeti is the only area in Turkey where these rare flowers grow, and the city is famous for them. The flowers are under the threat of extension, so book your town guided private tour of Halfeti and see these amazing flowers. 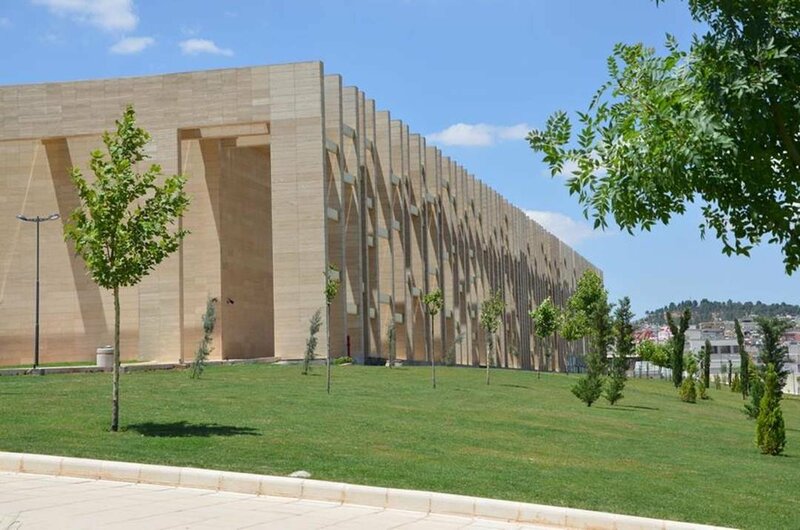 7 Private guided tours of the Şanlıurfa Archaeology Museum's astonishing collection of artifacts from many excavation sites around Sanliurfa is a must do tour. The Neolithic finds from Göbeklitepe are on exhibit here and are a highlight with many tourists and history buffs. Go through the Dome area and see part of a Roman Villa with its mosaic flooring intact. 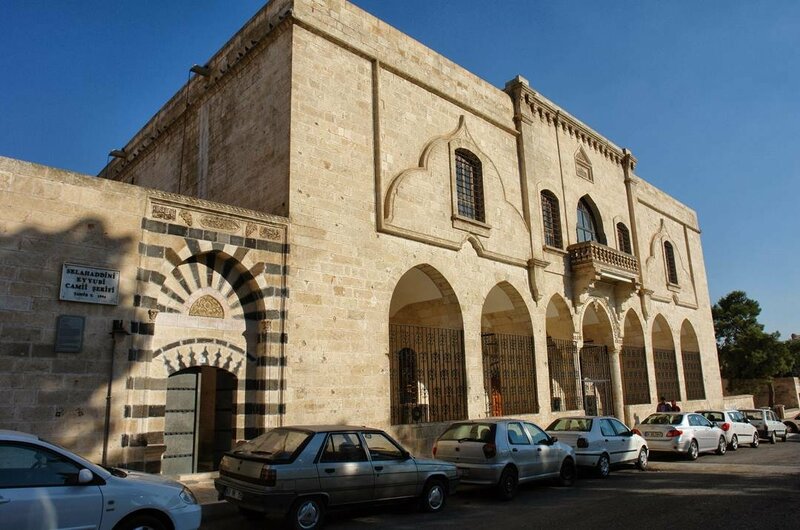 8 The Dergah Complex is home to the birthplace of the Prophet Abraham. Across the beautiful central courtyard just to the west is the facade of the Mevlid-i Halil Mosque. Many worshipers travel here every year to get blessings from this holy place. A lot of travelers going to the Hajj in Mecca will stop off at the Dergah Complex first. 9 Ulu Camii, Şanlıurfa is one of the oldest Mosques and places of worship in south-eastern Turkey. Known also as the Red Church because of its beautifully ornate red columns, your tour guide will take you around the bell tower, minaret and show you the stunning column of the church which archaeologists have identified as the original Church of St. Stephen. 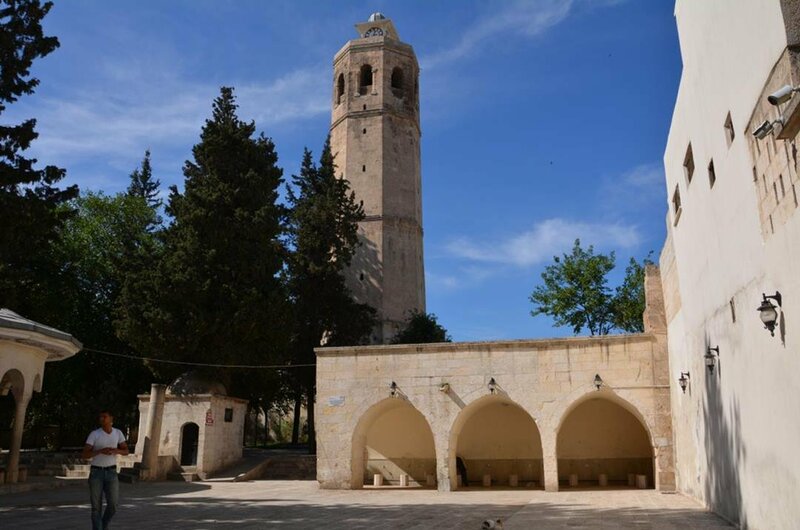 10 Selahattin Eyubi Mosque also known as The Virgin Mary's Church was thought to have been built in the mid-1840's. The building was restored in 1994 and converted into a Mosque for the local worshippers. Guided city tours including a visit to Selahattin Eyubi Mosque will and you will learn all about the history of this former church. 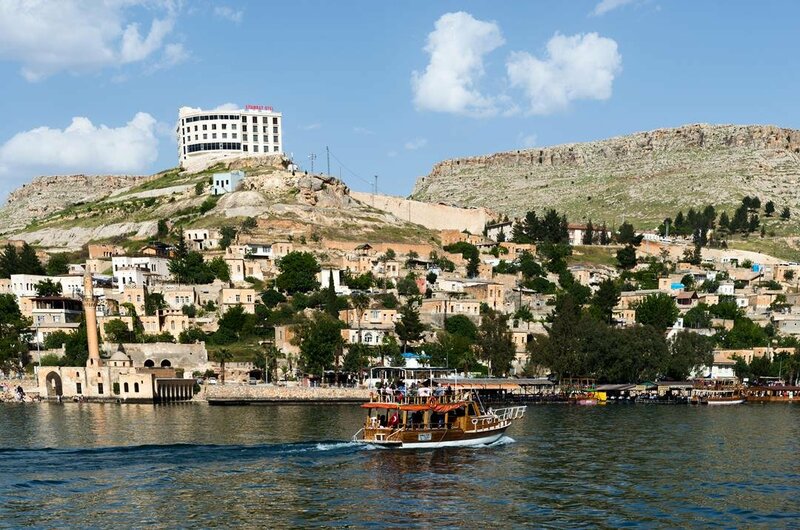 Sightseeing private tours in Sanliurfa during the high season of July and August can be very uncomfortable for some tourists with temperatures hitting anything up to 40°C and prices for accommodation and tours are higher than normal. Anytime from May to October, the weather is more tolerable at about 30°C so visiting ruins and touring is a lot more comfortable and prices are a little cheaper. Sanliurfa tours are ideal to get a taste of Turkeys history and culture. The flights are a good price, the currency is Turkish Lira and it us best to change money in Turkey as you get a better rate than you would do back home. You will find most of the pensions and hotels are clean and reasonably priced and the restaurants are great, a budget of $50.00 per day will be more that enough. When you are planning your private guided tours in Sanliurfa try to arrange them before you leave home as places can be limited to the many famous ruins here. Arrange your Entry visa to Turkey when you are booking your holiday as it is difficult to obtain a visa at the airport on arrival. Be prepared for the weather conditions, use plenty of sun protection and wrap up a nighttime as this region has diverse weather. Sanliurfa weather during the months of May, June, September and October is tolerable with temperatures averaging 30°C. July and August are a little hotter and can be uncomfortable for some tourists with temperatures hitting up to 40°C. December, January and February are much cooler around 15°C to 20°C but the nights can get quite cold so be prepared.